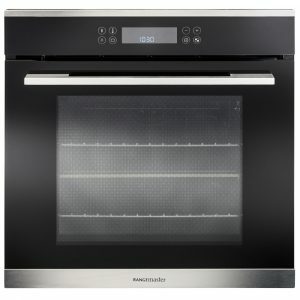 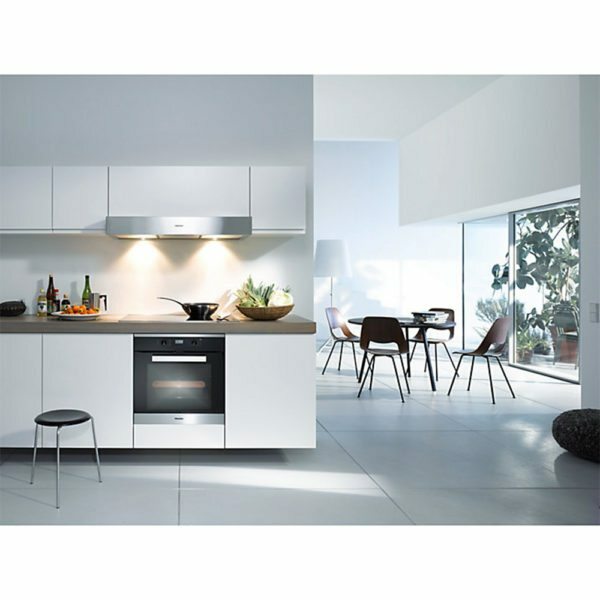 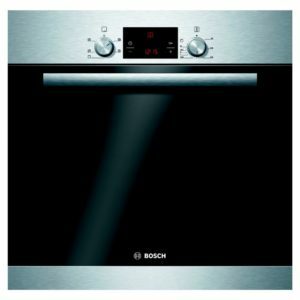 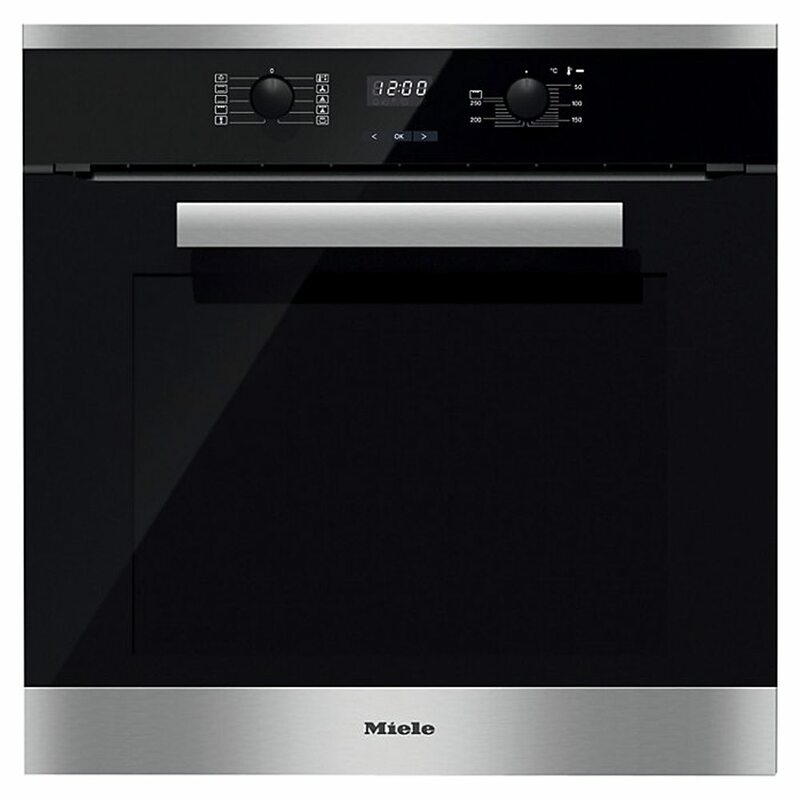 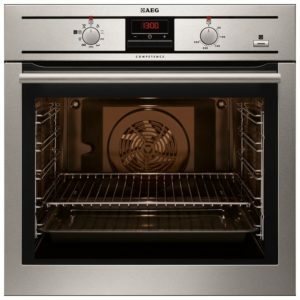 This superb built-in oven with convenience functions and an XL oven compartment from Miele has a 7-segment LCD display with dial control for easy control and access. 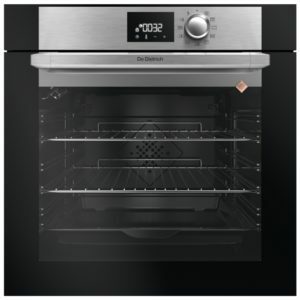 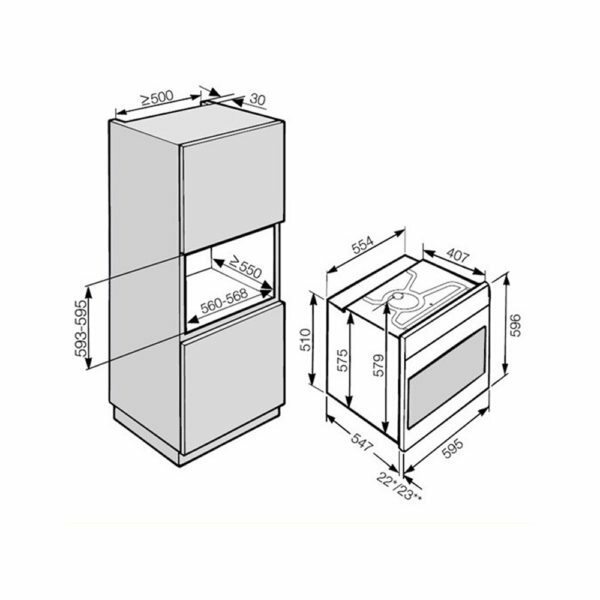 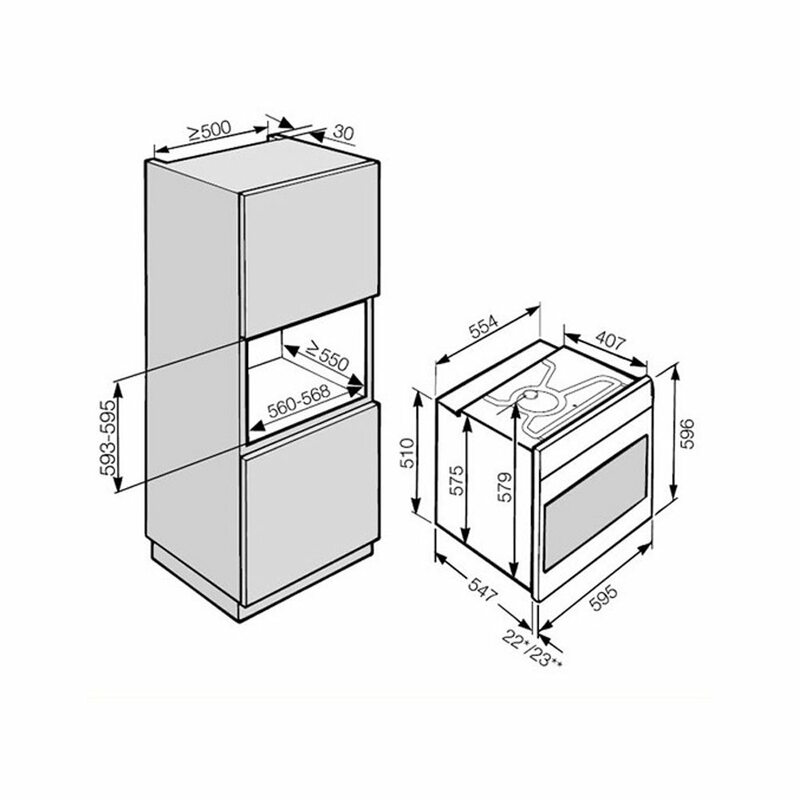 This model features Miele’s Cool Front technology – the multi-layer panels insulate the oven door effectively and ensure a lower temperature on the outside of the door, providing greater safety and protection, eliminating burns. Perfect if you have wandering little hands and fingers around the kitchen! 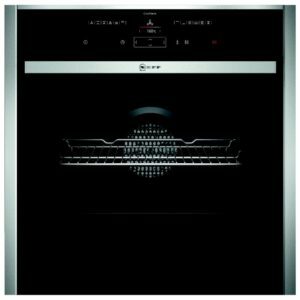 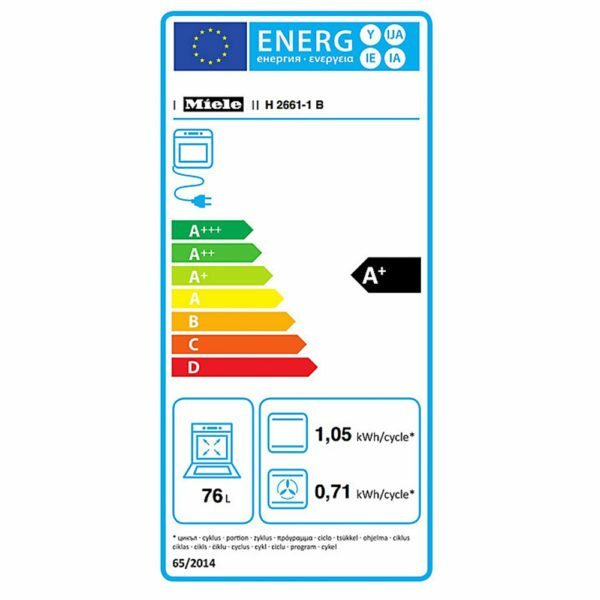 You can also rely on Miele’s automatic programmes to ensure you cook your favourite dishes perfectly, every time you cook them, programmes like Gentle Bake, Intensive Bake, Fan Plus and Rapid Heat-up, simply to name a few. 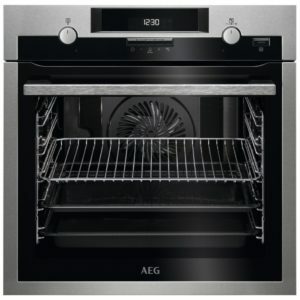 Finished in Clean Steel this oven, teamed up with other PureLine appliances will look fantastic in your kitchen.